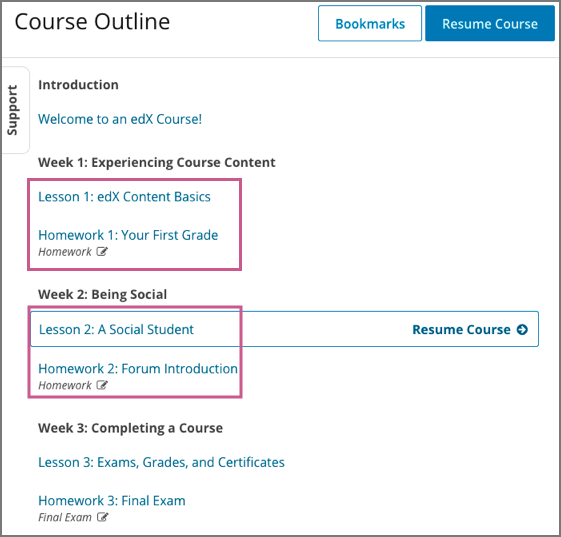 In the LMS, learners see clickable subsection names in the course outline on the Course page, listed under their containing section. Subsections that contain graded content (such as homework assignments or exams) are indicated with a text label and an icon. 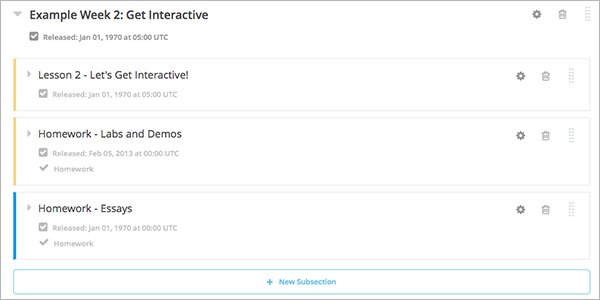 Learners click subsection names to access the units in the seleted subsection. In the following example, the subsections under two separate sections are indicated with outlines. Two of the highlighted subsections contain graded homework assignments, and have a “Homework” label and icon.